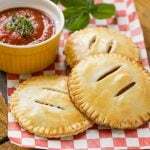 These homemade pepperoni pizza pockets are a great make-ahead meal or snack. Serve them with a side of marinara sauce for dipping! 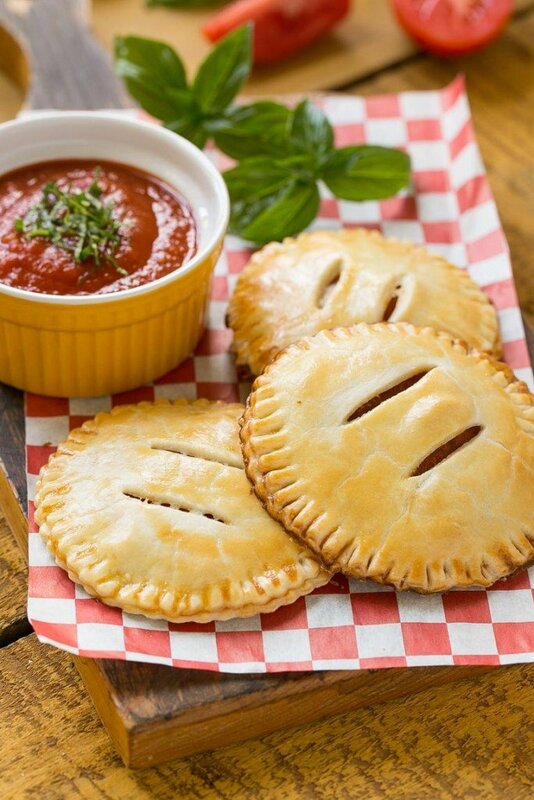 For these pizza pockets, pie crust is layered with pizza toppings and baked to golden brown perfection for a dinner or lunch option that’s WAY better than frozen pizza! I have spent the last few weeks trying to come up with a Halloween recipe to share with all of you. I wanted to create an easy yet festive dinner idea that’s simple to prepare before a night of trick-or-treating. I don’t know if you’ve noticed or not, but a lot of Halloween dinner ideas are meant to be scary and/or gory…and in the process they become pretty unappetizing. I decided to keep it light hearted with these pepperoni pizza pockets. You can cut them into pumpkin shapes for Halloween or make them year round in a circle or rectangle shape. Cute right?! And what kid doesn’t love pepperoni pizza? This recipe starts with pie crust – I cheated and used a pre-packaged version, but feel free to make it yourself if you prefer. I rolled the crust thin and the girls helped me cut out the shapes. You can really do any shape you like, but clearly pumpkins are king this time of the year. How do you make pizza pockets? 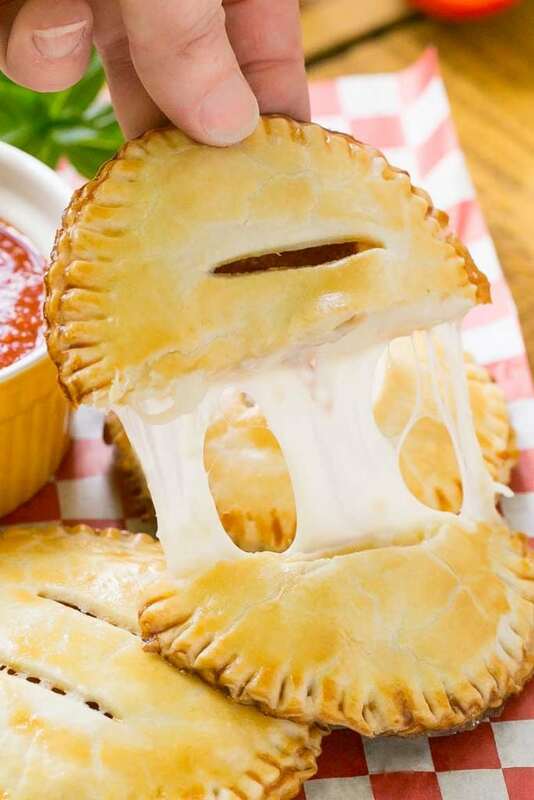 The pizza pockets are layered with mozzarella and pepperoni and then finished off with a second piece of pie crust. At this point, you can put the pizza pockets on a sheet pan in the fridge and keep them there for up to 8 hours until you’re ready to bake them. Who wouldn’t want this hot and cheesy goodness as a pre trick-or-treating meal? Serving the pizza pockets with a side of marinara sauce is an absolute must. My kids thought it was so much fun to dip away. This is the perfect way to get your kids involved in the kitchen – my girls helped me with almost every step in the process and their eyes were as big as saucers when they saw the final product. 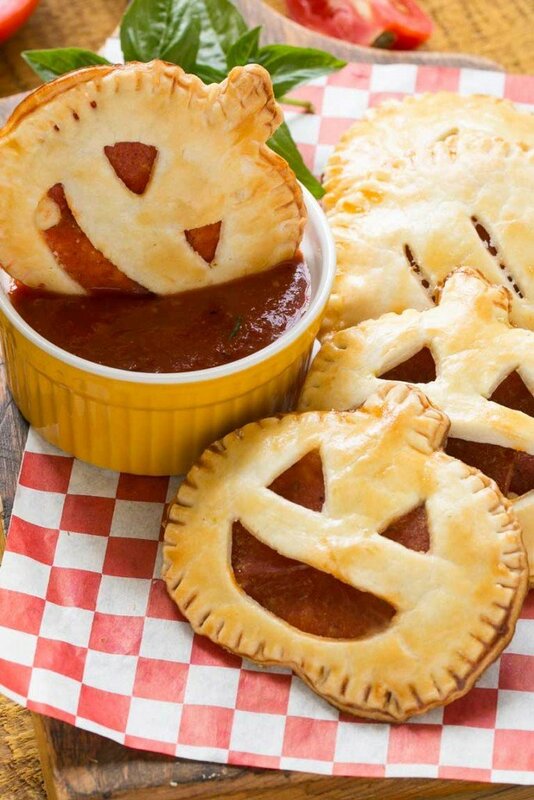 Whether it’s for a Halloween dinner, an after school snack or a meal any other time of the year, these pepperoni pizza pockets are sure to be a hit! Homemade pepperoni pizza pockets are a perfect meal or snack that the kids will love. Place the pie crust on a lightly floured surface. Roll the crust out into a 12 inch circle. Use a 4 inch cookie cutter to cut out 6 of your desired shapes. Transfer the shapes to a sheet pan lined with a silicon baking mat or parchment paper. Sprinkle the cheese evenly over the 6 crust shapes. Top with slices of pepperoni to cover, leaving a small border around the edges. Beat the egg in a small bowl. Brush the egg along the border of the dough. Gather the dough scraps and re-roll the dough to a similar thickness. Cut out 6 more of your shapes. Lay the shapes on top of the pepperoni layer. Use a fork to crimp the edges shut. For a standard pizza pocket, use a paring knife to cut a few lines in the top. For a jack-o-lantern, use a paring knife to carefully cut out eyes and a mouth. Brush the tops of the pizza pockets with the egg wash. The pockets can be baked immediately or covered loosely with plastic wrap and stored in the fridge. Bake the pizza pockets for 15-20 minutes until golden brown. Serve immediately with marinara sauce for dipping. Make Ahead: The uncooked pizza pockets can be stored loosely covered in the fridge for up to 8 hours. My granddaughters just loved these! I made the Pizza Pockets, circular style, and the recipe really worked! Very tasty and fun! Sara, these absolutely adorable. My kids are going to love this. 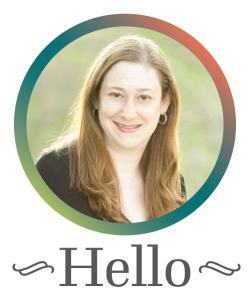 Thanks so much for this easy and fun inspiration! Just pinned! these are the perfect kid-pleasing (and adult pleasing) appetizer!!! I love that they only contain a few ingredients and look so easy to make! win-win! Is it weird of me to want to put these pockets into my pocket? Cause that’d be messy — BUT SO WORTH IT because it means I could take them everywhere with me! Wicked good recipe, for any day at the zoo… and at home, and anywhere! These are so cute! They’re almost too cute to eat–well, maybe not, but they are adorable. I love that you can play with the ingredients here, too. Fun! 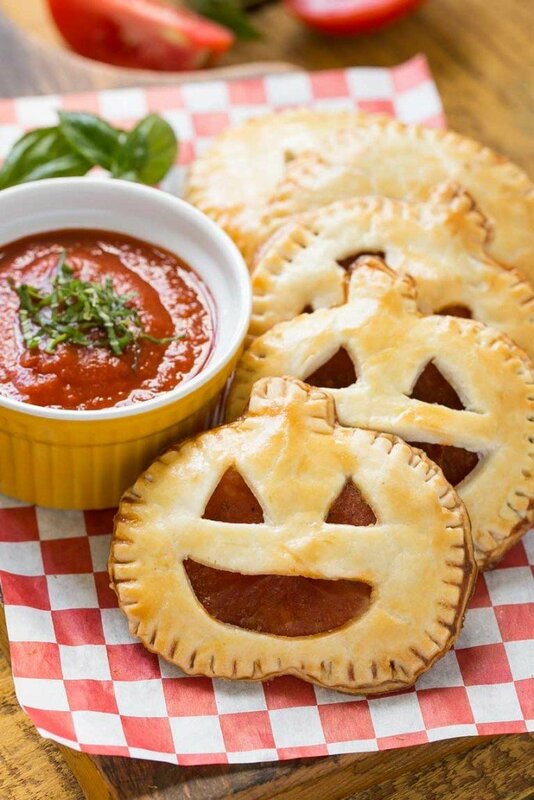 Those jack-o-lantern pizza pockets are just too adorable. I am sure they make the perfect Halloween dinner, but then again, they’d make a great dinner any night of the year! LOVING This idea!!! Pizza naturally is amazing but this handheld version is super cool and so much neater! Incredibly cute and delicious looking! The recipe sounds great and is a great idea, but here’s what I really want to know–how on earth did you get that great gooey cheese shot?!? These are so flipping cute and my kids will love them. Thank you for the great recipe! Sara this is such a cute idea. What kid could resist these. I know two boys in my house who would gobble down the entire plate. Love it! These look ridiculously delicious! Omg, I could probably shovel in like a dozen of them. Love the super cute halloween pumpkin theme and I totally support your store-bought pie crust, such a time saver!